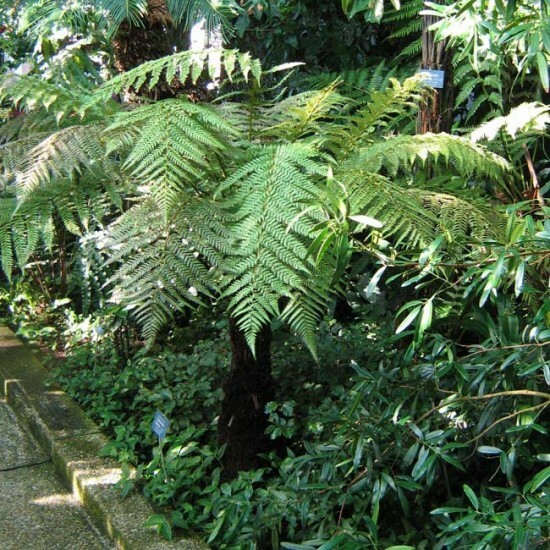 Dicksonia Fibrosa is a tree fern native to New Zealand. The trunk is formed from the remains of old stems from older leaves and a fibrous above ground root system, topped with a canopy of unfurling leaves, each from 1 to 2 meters in length. In its native habitat, it is found growing in damp woodland, and moist gullies. 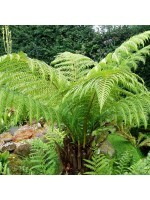 Grows to a maximum height of around 6 meters and a canopy spread of 2 to 4 meters. Half hardy to -7°C, crowns should be protected during winters in cool areas.